I once heard that a house built to code is the worst we can legally build a home. Just because a home was built to code does not mean that the home performs as it should, which means homeowners suffer from high utility bills, hot and cold rooms, and even unsafe conditions where mold and dry rot have set in or carbon monoxide poisoning is a real risk. Even before a building code was ever established, over 130 million homes were built and how homeowners have suffered. Enter the Building Performance Institute or BPI. The (BPI) is a nonprofit institute that develops standards and oversees a credentialing division in the existing housing market to retrofit homes into high performing homes. A high performing home is one that is safe, durable and energy efficient. Let's start by looking at BPI's Standards, then we will get into their credentialing program. BPI's develops nation-wide standards for creating safe, durable and energy efficient homes. Each standard is adjusted depending on the climate-zone you fall into and they cover things like acceptable carbon monoxide limits for combustion appliances, effective insulation values and heat transfer into homes. BPI Standards are the basis for the DOE's Home Performance With Energy Star Program and the Weatherization Program which many utility companies have taken up to provide rebates and incentives for homeowners to do energy audits and home energy upgrades (a big portion of our work). BPI emphasizes a "house-as-a-system" approach to thinking about a home and in the BPI Standards. This means that a few home performance principals learned in the study guides apply to every type of home and in every situation. The beauty of that is by knowing your fundamentals, you can apply it to situations you have never seen before and offer and solve homeowner issues more than any specialty contractor. Because in part of the massive growth seen from the American Recovery and Reinvestment Act of 2009, in 2012, BPI's certification became based on the testing protocols from the American National Standards Institute. BPI is not just for older or existing homes either, although those are the dominant ways BPI Certified Professionals are using their accreditation Any home can be assessed for durability, safety and energy efficiency, and BPI Certification aims to train you how to do so. How To Become BPI Certified? 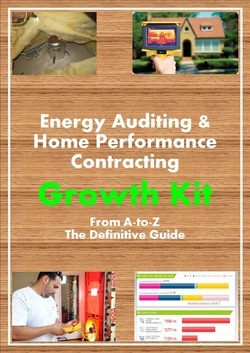 Obtaining BPI Certification is a rigorous process to ensure energy auditors know how to assess a home for what? Yes, safety, durability and energy efficiency. To become BPI Certified you need to pass a 100 multiple choice written exam with a 70% or better and a field exam with an 85% or better. BPI vs HERS, What's The Difference? Here is a simple comparison of BPI and HERS if you are deciding between the two. 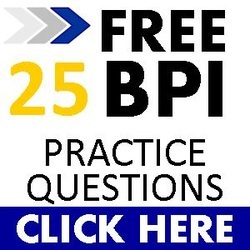 To learn exactly what is on the BPI Exam, start with our extensive library of study guides. You will need to learn a variety of subjects for the exam and which you can find on this website. Good luck! ALREADY A BPI ENERGY AUDITOR?